LOCATION Ashdown Court is conveniently positioned to give easy access to Horsham town centre, which is approximately 1.5 miles distant. The property is only a short stroll from Tesco Express and petrol station, as well as an array of local shops including post office, Co-Operative Store and bank. The property is also within walking distance of Horsham and Littlehaven Stations (both under 1 mile away) as well as numerous primary schools, Millais School for girls, Forest School for boys and Collyer’s Sixth Form College. Excellent road networks are within easy reach and include A264, M23 and M25. PROPERTY This attractive property which forms part of a grade II listed development and benefits from an extended lease of 165 years to run, surrounds and overlooks a centrally located communal lawn area and pathway which leads to the front door. Inside of this well presented property, the hall has doors into all rooms and two sizeable storage cupboards. The double aspect living/ dining room of 20’6 x 11’3 offers the ideal space to relax with friends. The modern recently replaced kitchen, has space for a range of appliances and is made up of floor and wall mounted units with a window overlooking the well kept communal gardens. 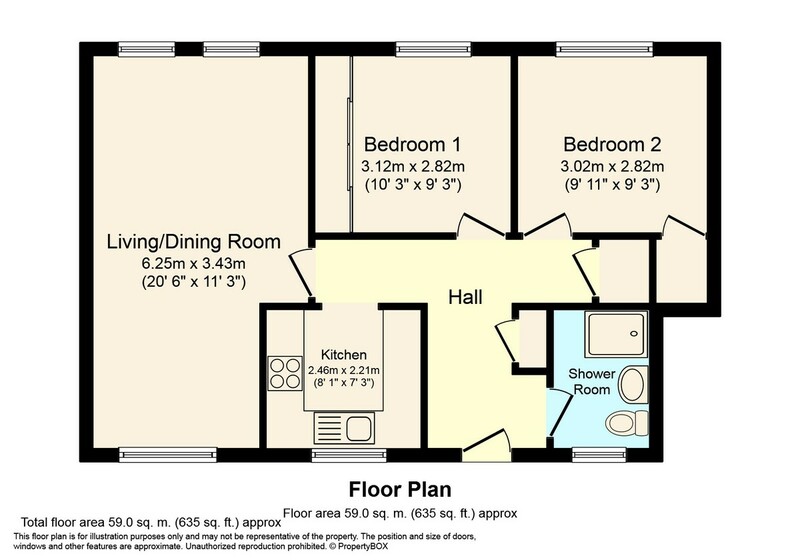 Completing the accommodation are two double bedrooms, both with built in wardrobes and recently replaced carpets. The shower room is of good dimensions offering a double shower unit and attractive white suite. OUTSIDE The property comes with its own allocated residents parking space and additional parking spaces for visitors within the communal grounds.